It’s been fascinating to own a Volkwagen Vento. It’s NOT been fascinating to deal with Volkswagen personnel, including the dealer and the service garage. I’ve had my problems with the VW dealer (VW Mumbai East, located in Chembur). In fact, I would easily call them the worst car dealer I have ever experienced, and particularly the most apathetic. Especially the manager who really couldn’t care less. But I want to put that behind me, so I will not go into those gory details. 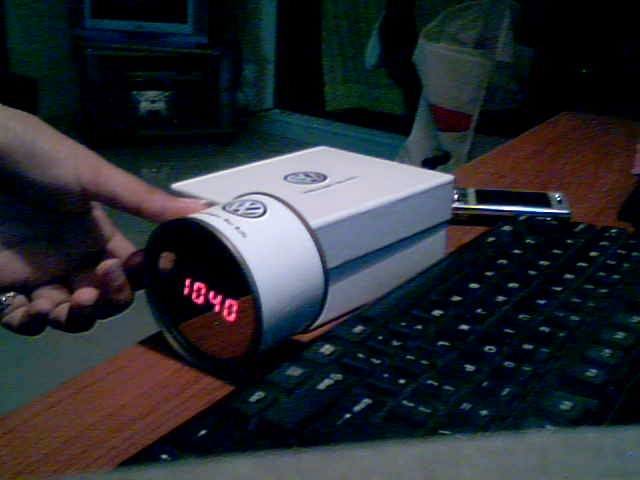 Really sweet and nice of VW, wasn’t it? 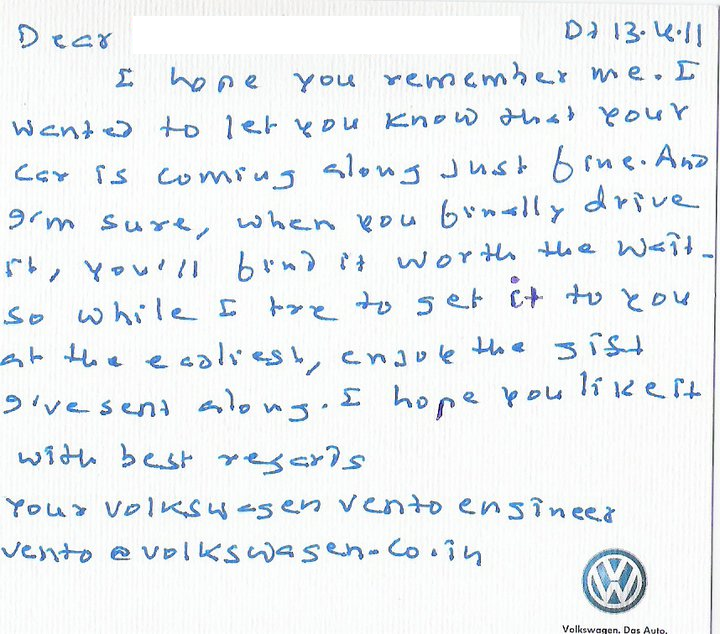 In fact, sometime back, I had also received a similar handwritten letter from the same VW rep, asking me to hang on, as the car was on the way! 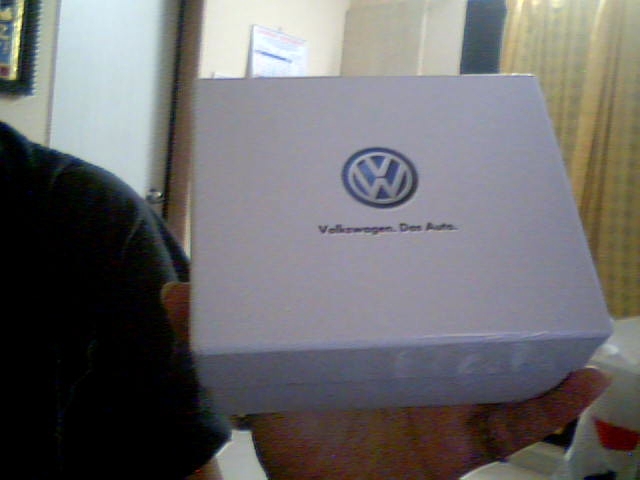 I GOT DELIVERY OF THE CAR ON 14TH JAN, 2011. The first handwritten letter that came to me, informing me about the delay, and asking me to be patient, came about ONE MONTH AFTER I HAD ALREADY received the car! I laughed it away a a slip on their end! But now, when I get this new letter, of course, along with a nice box and a gift, THREE MONTHS AFTER I HAVE RECEIVED THE CAR, I am flummoxed. You can see the date that he has mentioned on the letter (above). But then I realize that I don’t need to worry. If their right hand (this CRM piece on writing to customers on account of late deliveries) does not know what their left hand (deliveries) is doing, I cannot expect them to read a blog post like this, connect it to my record, and NOT send me more gifts..! So is that perfect German Engineering jet-lagged in India? ?